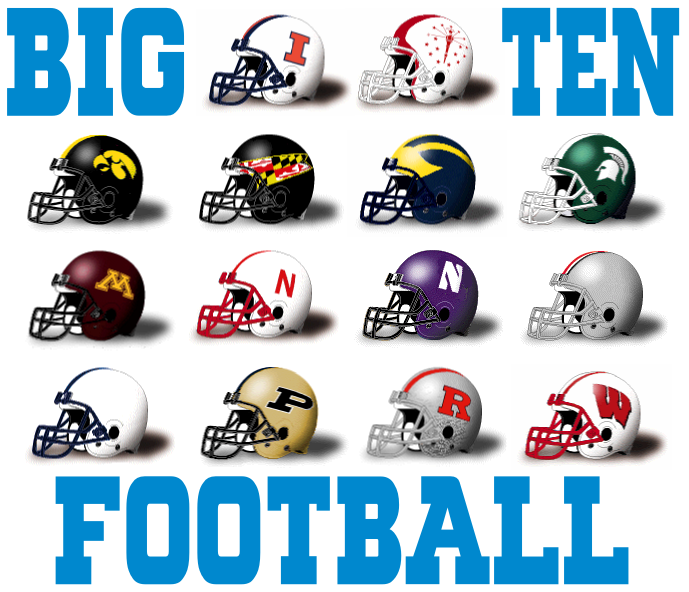 Big Ten Football Online is a fan site dedicated to collecting Big Ten Conference Football facts and information. We are not affiliated with the Big Ten Conference, but we are huge fans. The official website of the Big Ten Conference is BigTen.org. 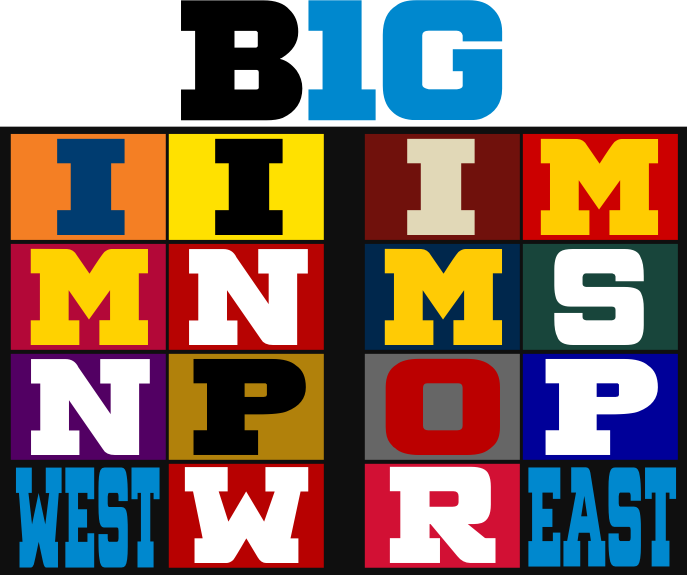 The Big Ten Conference was founded on January 11, 1895 and is the oldest Division I NCAA college athletic conference. There are currently twelve member universities from across the Midwest that compete in the Big Ten Conference. The Big Ten Conference was divided into two divisions, known as the Legends and Leaders Divisions, until July 1, 2014 when the Big Ten added the University of Maryland and Rutgers University. Under the current divisional format, each Big Ten school plays a total of eight Big Ten conference football games, consisting of the five other teams in its division, two schools from the other division on a rotating basis, and one school that is its inter-division rival. The Big Ten instituted this policy to try and keep some of the long standing football rivalries intact. In 2014, the Big Ten Conference officially added two new members to its ranks. Joining the conference on July 1, 2014 was the University of Maryland and Rutgers University. Other changes added 2014 included a new divisional structure. Under the new Big Ten Football Division plan, all Big Ten schools located in the Central Time Zone and Purdue University will compete in the West Division. The schools in the Eastern Time Zone will be in the East Division. The Big Ten Football Championship Game is held every year to determine which team receives the automatic bid to play in the Rose Bowl. The game features the champion from the Big Ten West Division versus the champion from the Big Ten East Division. The inaugural Big Ten Football Championship Game was played on December 3, 2011 between the Michigan State Spartans and the Wisconsin Badgers at Lucas Oil Stadium in Indianapolis. The only protected inter-divisional matchup will be the Indiana-Purdue game. Also, the Big Ten approved a nine game conference football schedule beginning in 2016. To keep everything even, the East Division schools will have five home conference games in even numbered years and the West Division schools will play five home games in odd numbered years. The Big Ten Conference offers fans many different opportunities to watch their favorite Big Ten teams on Internet-enabled devices throughout the year. Watch Big Ten Network Online – The Big Ten Network is the official provider of Big Ten Conference athletic events. Watch Big Ten football games online exclusively on BTN. Watch Big Ten Football Online – Get a list of all the sites where you can watch Big Ten football games online broken down by team. Listen Live to Big Ten Football Games Online – Our listings by Big Ten school of all the online radio and live streaming broadcasts of Big Ten football games.